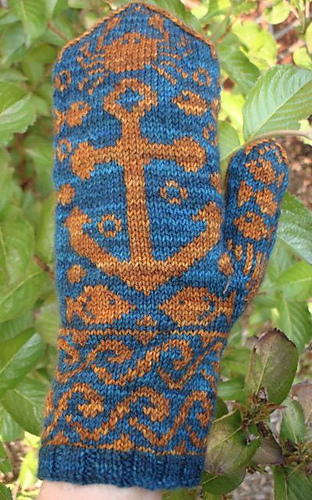 Anchor’s Away will lighten your Winter with a nautical motif of waves, fishes, an anchor, and a crab to top it off. 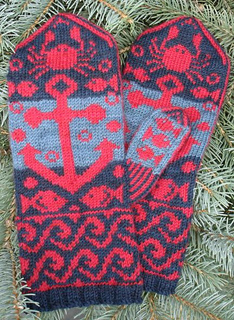 The pattern includes detailed written directions with charts for colorwork. 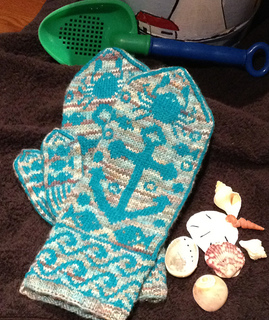 Thank you to bellylaugher, girlofmanycolours & cdnladiebug for their test knitting. September 2012 - cdnladiebug won 1st Place with her mittens at the Niagara Regional Exhibition! And 2nd Place at the Wainfleet Fall Fair! Congratulations Kim! !